Fohr Card, an influencer marketing company, has joined the league of technology enablers that are fighting against the menace of fake followers and bot audiences. The customers, mostly B2C luxury brands, will now gain 100% transparency into the number of fake followers that their influencers have. This will enable campaign marketers and marketing analytics team to understand the performance of influencer programs across the web and social media platforms. 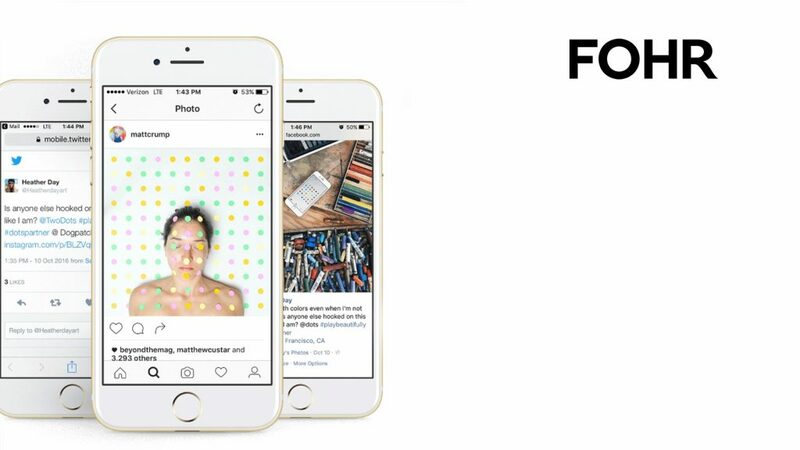 By introducing a new influencer follower health score, Fohr Card intends to ease the revenue model of social media and influencer marketing campaigns. Marketers can now only charge campaigns based on verified, human followers, removing dubious influencers with fake followers off the charts. After analyzing 20 million Instagram accounts, Fohr Card found that approximately 7.8% of these accounts were bots. Since spend on influencer marketing campaigns is projected to hit $1 billion this year, this finding suggests that nearly $80 million dollars could be wasted on influencer marketing this year. “These new metrics will undoubtedly provide more peace of mind to brands who want to be 100% sure about what they are paying for when they work with an influencer on a campaign,” said James Nord, Fohr Card CEO. 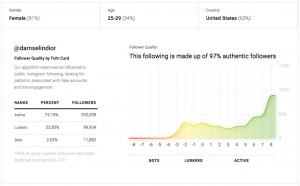 To make sure digital marketers know whether influencers’ followers are real humans and not bots, Fohr Card resolved to provide marketers and influencers much-needed transparency by developing an Influencer Follower Health score. The digital advertising industry has been plagued by billion-dollar bot fraud — as a result, brand marketers have grown increasingly unsure about whether their digital investments are reaching real people. According to eMarketer, influencer marketing is expected to significantly ramp up this year, so how confident should brands feel about working with influencers and relying on their public “real” followers on Instagram? No one in the industry has ever explored or offered a solution to this potential vulnerability for fraud as dollars increasingly flow into influencer marketing. But, brands can now rest easy about fake followers now that Fohr Card introduced a way to identify fraudulent followers and assign a Follower Health score to each influencer. To build the Influencer Follower Health scores, Fohr Card assesses a number of factors such as followers/following ratio, username, bio, and the number of posts. The scores range from -8 (the worst) to 8 (100% real and engaged); based on these scores, accounts are categorized into three categories: Active, Lurkers and Bots. Fohr Card then provides an overarching score (0 to 100%) that reflects the overall quality of the influencer’s Instagram account. As the leading authority on influencer marketing, Fohr Card could play an impactful role in connecting and building long-term relationships between discerning brands and tastemakers. Tastefully designed and emotionally inspired, Fohr Card’s influencer marketing campaigns call upon unmatched years of insights from collaborating directly with brands and influencers. Brands seeking to elevate their influencer marketing campaigns not only tap into Fohr Card’s curated community of influencers, but also leverage the company’s squad of photographers, creatives, and campaign experts. As a result, consumers are motivated to act and brands enjoy a wealth of shareable content with unparalleled production value. Previous ArticleDemandbase Expands Online ABM Certification Program for B2B MarketersNext ArticleNew BlueVenn Report: Modern Marketers Awry About Turning into Data Scientists!